In our great dining room furniture sale, you’ll find everything you need to create a stylish home all at up to 50% off! Made from 100% solid hardwood, these dining room favourites, including sideboards on sale, dressers with fantastic storage, and display cabinets, come in a wide range of looks to perfectly suit your home. Find painted pieces, clean modern looks, and traditional styles all at great savings. 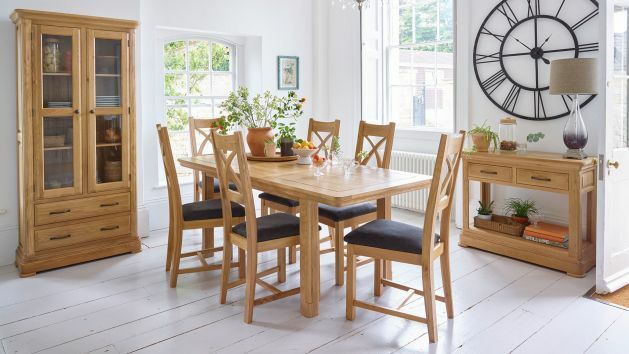 Bring home the dining table and chairs of your dreams in our sale, and don’t forget about our great free delivery offering too, bringing you exceptional quality for less than you’d expect.